I've posted about Tracey Tanner before. More than once. But I'm doing it again. Because she is rad and because she's a new sponsor of ESB (woot!) and because she's offering ESB readers a 15% discount on orders of 5 or more items. 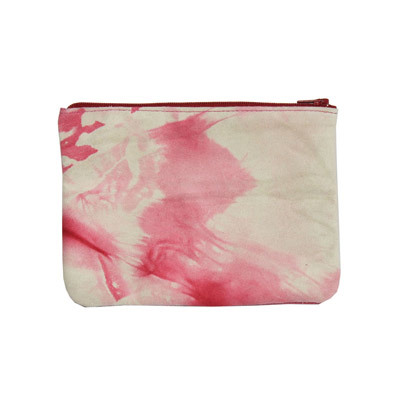 Tracey's lil pouches and makeup bags and wristlets are THE BEST gifts for bridesmaids + wedding helper friends. The ladies I gave them to four years ago are still using em, and I have one I love to death that I fully expect to last forever. Can you say that about your Target knock-off? I bet not. p.s. The wristbands are pretty rad, too. meh. $40 coin purse? 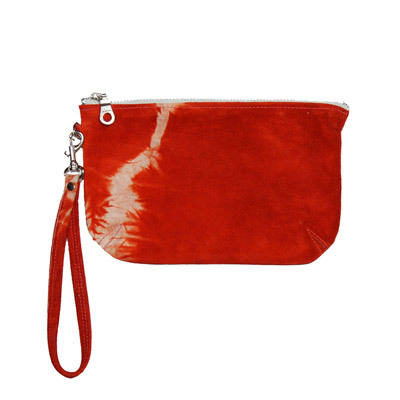 $90 "small" wristlet? i'd rather go to target, buy 1 of each for $15, and have $115 left over to buy something new once the trend is dead. voila! How is a make-up/pouch a trend? Anyway, I am NOT Tracey Tanner's friend and I've seen her stuff IRL and it's beautiful. And not overpriced for high, quality fashion items. Target pleather is for "trends". Leather is forever. I have TT products and would recommend them to anyone. They are amazing gifts! totally. when i picked it up i thought, wow. 55 bucks, a steal! and every time i pick it up i notice how well made it is. shame people would rather spend MORE on junk that will just end up in landfills so they can then buy MORE. I really try to keep my prices as reasonable as possible. Please bear in mind my items are handmade in Brooklyn from the finest Italian leathers, not in a sweat shop in China with poor quality hides. Unfortunately it means I can't compete with prices. While the tie dye may be a trend item, I have many different finishes that are classic and timeless. I understand why someone would feel my prices are on the high side but I hope this helps to explain why. I got my bridesmaids leather pouches from Tracey Tanner and they absolutely loved them. I got myself one too because they are just that good. well i am just a walking talking east side bride sponsor cliche. 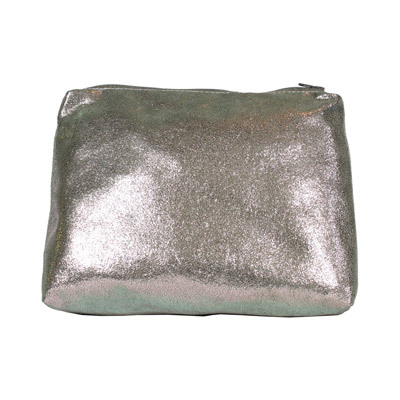 while in brooklyn i walked myself over to catbird and and bought myself one of those lovely sparkly pouches. they're gorg. & i second what jamie said about the landfills- quality over quantity! I wore one of Tracy Tanner's double wrap wristbands to my wedding, it was gorgeous, and I got so much wear out of it after the day, but I lost it recently, and I am so bummed! mine is *always* in my purse. thanks esb! it's not rocket science, people. Did everyone see this wedding already? Q: How gorg are these botanical centerpieces?? how do I tell people once we've eloped? Dear Readers: Pls help me find this in white! Help a girl find some shoes? CARRIE DIP-DYE: Yay or Nay? And then the bride peed in a…. Do I have to buy my photogs the fancy meal?